Are you affected by the organic food craze or enjoy shopping for organic foods? With the organic buzz every where, we are all aware of its health benefits. But do you know how genuine your organic food is? Is it really organic? 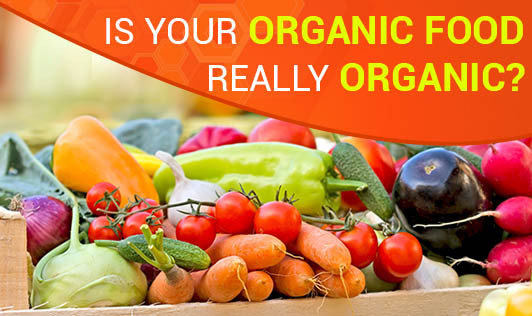 Here are few simple steps to help you indentify the right organic food. 100% Organic: The packaged food that carries this label on it means that all the ingredients that goes into the product is organic. Organic: Any food product that claims to be ‘organic' must have a minimum of 95% organic ingredients in it. But we would think that any product mentioned as organic is 100% organic. So next time take extra care to understand what you read. The other 5% may consist of synthetic residue or pesticides. Made with organic ingredients: In my view this is the most deceptive labelling. One might assume that all ingredients are organic. But the fact is, only 70% of the ingredients are organic. The rest of the 30% may consist of non-organic ingredients. 4 digits: It is a conventional produce grown using pesticides, petroleum based chemicals and fertilizers. 8+4 digits: It is a genetically modified food (GMO). It contains artificial genes introduced in the food. 9+4 digits: These are organic foods grown with organic food standards and procedures. This information should help you to those organic labels better and help you buy smart!